This release note covers details through Version 4.02.56. We are pleased to welcome new client Angelstone Tournaments to the ShowGrounds family. They offer seven weeks of eventing in July and August. In the Add to Series step, we added a column for the Suggested Amount for all future shows. The fields will be pre-filled with suggested amount, which will depend on the web deposit settings of each show. We will allow the user to enter any amount greater than the suggested amount. Note that the suggested amount can be $0. 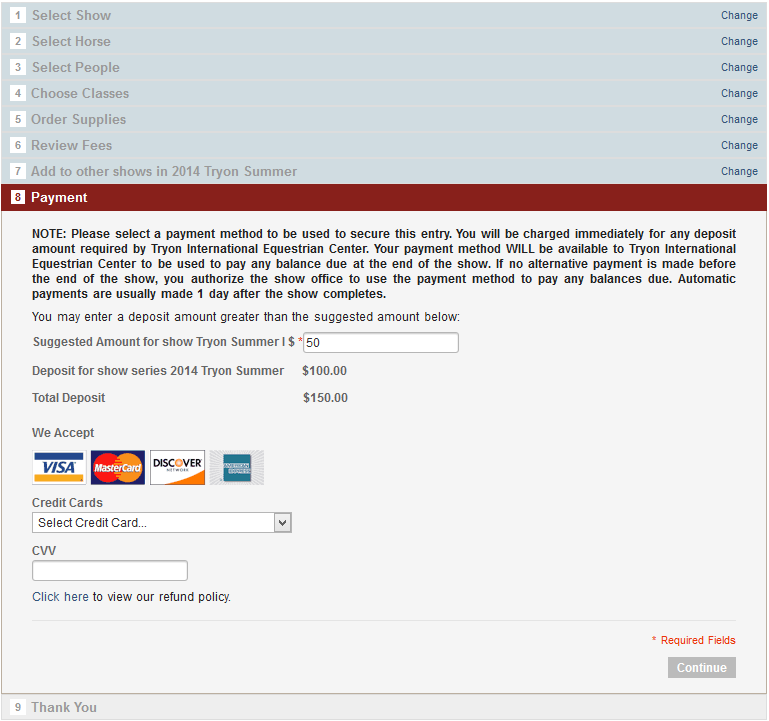 The Payment step will be displayed if the Current Show or any selected Show in the series has a deposit amount. We will display the Suggested Amount of current show as editable, the Series Deposit amount from steps above, and the Total Deposit, which is the sum of current show deposit and series deposit. If there are no future shows selected, then the Payment step will remain as just the deposit amount field of current show. When this Entry gets synced to 4D, the payment distribution will be added similar to the amounts displayed on web for each show. We recently enabled the Team Scoring option so it is available for both Hunter classes as well as Jumper classes. Check it out! Splits – When splitting a feed and bedding fee, the software now allows user to indicate if it’s already delivered — very handy! TONS more logging to the history tab of entries, including logging of origin of payments, payment reversals, entries added during class verification (as well as those that have scratched), and when trainer splits are applied to an account. Made abbreviations of full names, so when a balance roll forward occurs, the description is not cut off. 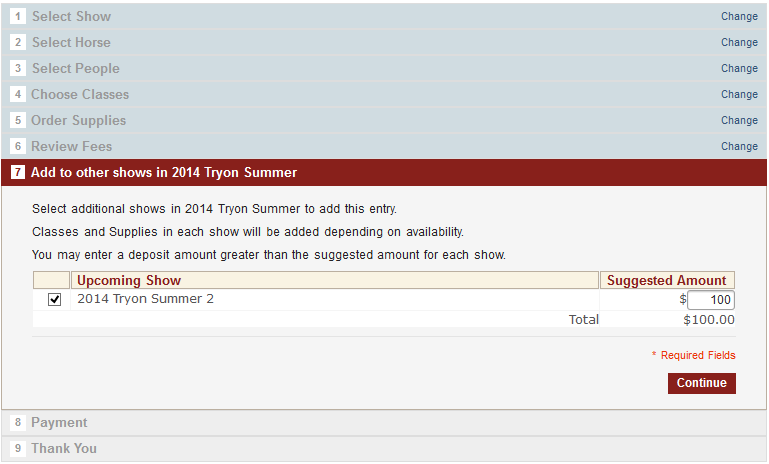 You can now set the Fee Print Order from the Show. Open the Show record and Go to Fee tab then drag/drop to set the order. The Fee will be printed using this order on the Invoice. If there is no order set, then the Fee is printed alpha-sorted by Category Name. ShowGrounds has created new reports and fixed some little bugs with others. Please see below. Fixed the “Order Of Go” report so it prints all of the digits of a 4-digit class number. This also solved a fix for FEI class reports. Please write to us at support@showgroundslive.com for any questions about reports!